Since July 20th 1999, the persecution has continued with over 100 torture methods described by those who have survived, including the alleged harvesting of organs from living Falun Gong practitioners sold for profit to organ tourists. Despite condemnation from human rights advocates and governments, the persecution is now in its 19th year. Please sign the petition to the UK government asking them to pressure the Chinese Communist Party to stop this persecution. Thank you for helping to make a difference. I, the undersigned, hereby condemn as unethical any activity that transgresses an individual’s human rights in relation to being an organ donor in China. the reported easily obtainable organs in China and speedy cross matching which implies pre-selection of prisoners for organ harvesting. I condemn any such practices unreservedly. I call for urgent, open and independent investigation into all prisons, detention centres, labour camps and related hospitals. I consent to my signed petition to be presented to the Government of the United Kingdom. We won't publish your personal details anywhere or use them for anything other than this petition. Mounting evidence tells a terrible tale of murder and mutilation in China. Witnesses and Chinese physicians reveal that tens of thousands of Falun Gong practitioners are being killed for their organs, which are sold and transplanted at enormous profit. The kidneys, livers, and hearts are often sold on demand to patients who can afford them. That is, the prisoners of conscience are tissue typed and then killed once a matching recipient is found for their organs. Victims are held in concentrations camps prior to dissection, after which the bodies’ remains are immediately cremated. The story, almost too dreadful to believe, was first revealed in March 2006, when a woman stated that as many as 4,000 Falun Gong had been killed for their organs at the hospital in which she had worked. She also said that her husband, a surgeon at the same hospital outside the northeastern city of Shenyang, had disclosed to her that he had removed cornea from the living bodies of 2,000 Falun Gong adherents. One week later, a Chinese military doctor not only corroborated the woman’s account but claimed such atrocities were taking place in 36 different concentration camps throughout the country. He said he had also witnessed the Falun Gong being massively transported across the country in cattle trains, at night and under the cover of tight security. 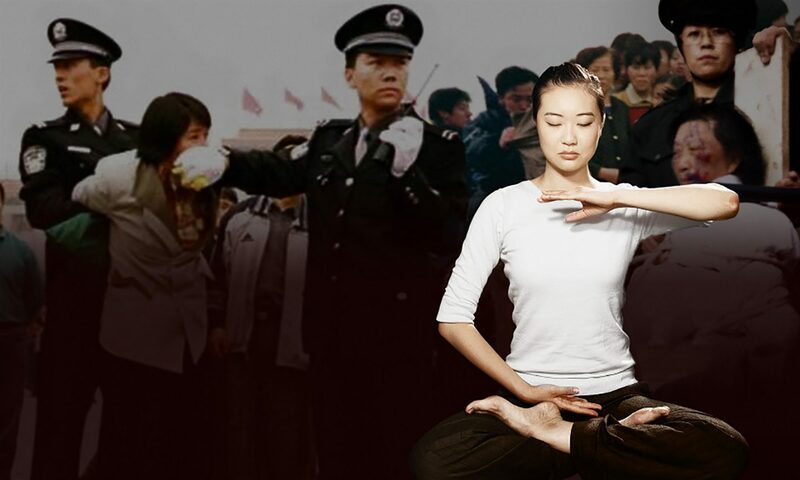 Falun Gong (also commonly known as “Falun Dafa”) is an ancient Chinese spiritual discipline in the Buddhist tradition. Pronounced ‘Fah-loon Gong,’ it consists of moral teachings, a meditation, and four gentle exercises that are a truly unique and highly effective way to improve your health and energy levels. At the core of Falun Gong are the values of Truthfulness, Compassion, and Tolerance (or in Chinese, Zhen 真 Shan 善 Ren 忍). Falun Dafa teaches that these are the most fundamental qualities of the universe, and takes them to be a guide for daily life and practice. By 1999, Falun Gong had grown to become the largest and fastest growing practice of the sort in Chinese if not world history. In just seven years since its 1992 introduction to the public, an estimated 100 million people were practicing Falun Gong. Today Falun Gong is practiced in more than 80 countries around the world, with clubs and associations existing in a range of cities, companies, universities, and other settings.